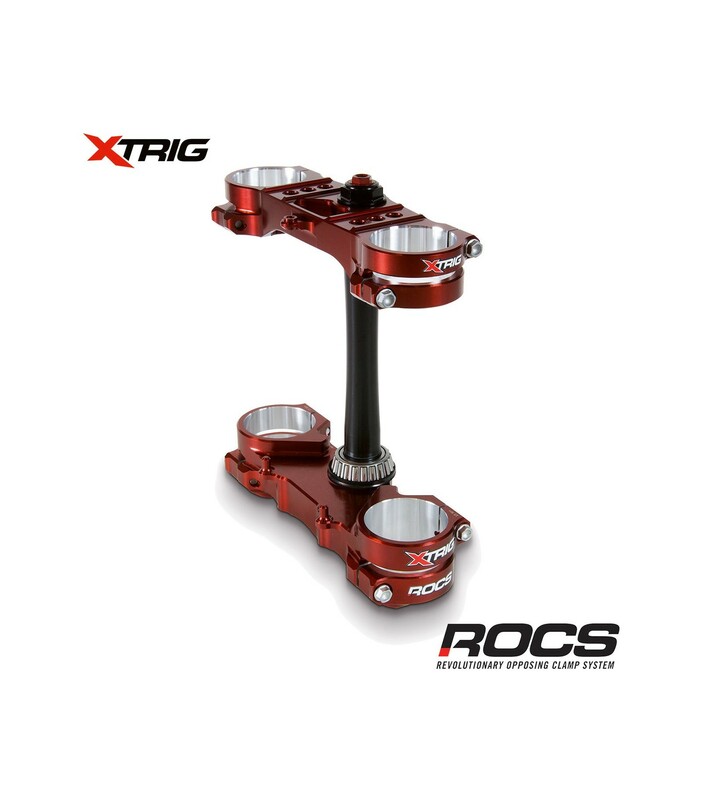 NEW ROCS triple clamps from Xtrig, now available in supermoto offsets! 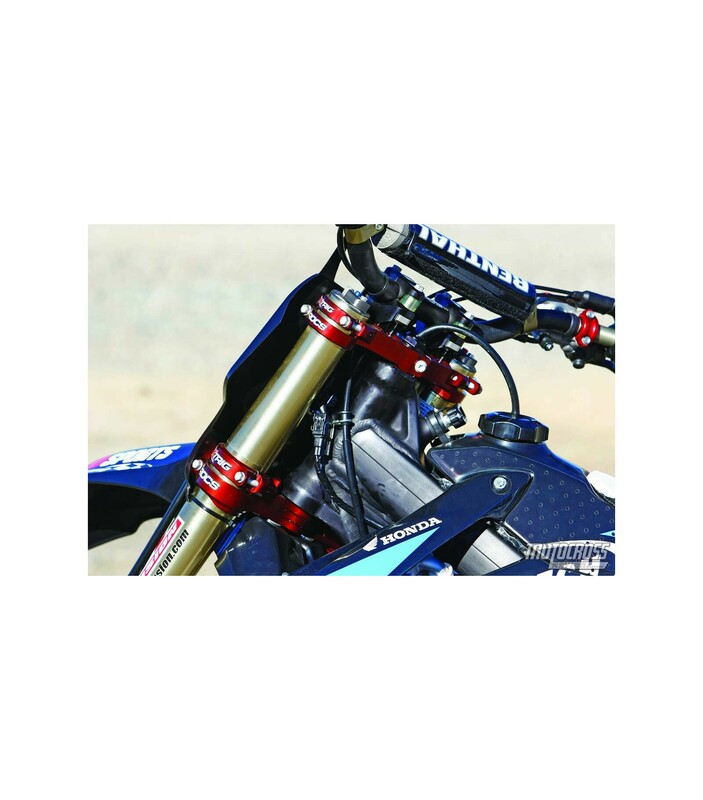 Multi-position offset triple clamps for use on supermoto bikes! 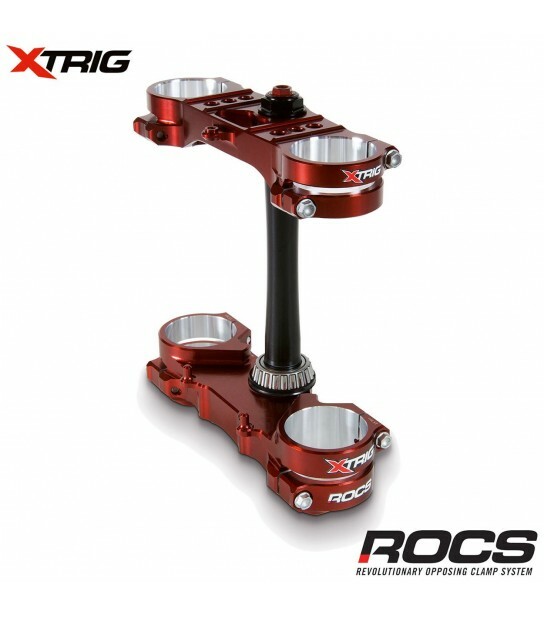 Includes Xtrig's signature PHDS bar clamp system for 1-1/8" bars. *** Please provide your year, make, and model under the "Customization" tab, then you can add to cart. *** All triple clamps are stock width, except for the KTM fitment. The KTM triple clamps are 200mm wide rather than the stock 190mm. A fitment kit is available to properly space the wheel and align the brakes.